The Papermill is a creative space, established in Whangarei in 1989 to train people in the art of papermaking in a nurturing, supportive and educational environment. It provides a creative, structured workspace for up to 20 people with intellectual, physical and brain injury-related disabilities. The programme was designed to build self-esteem, social skills and confidence so these people can participate as fully as possible in society. The programme also draws society’s attention to the abilities of the disabled, decreasing the stigma attached to disabilities. The Papermill recycles used materials and noxious weeds, and transforms them into beautiful paper. In turn, this paper is made into a line of stationery, packaging, wedding invitations and artworks of an international standard. 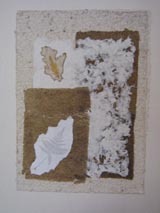 Each participant has an individual learning agreement, which outlines and measures their achievements within the creative process of papermaking. We look for an ability, however small, and focus on developing this so that everyone has a special role to play in the total process. Part of being at the Papermill is interacting with the wider community. Sometimes, this means teaching the art of papermaking on site to busloads of tourists, schools or members of the public. At other times, we go out into the community: for example, we have stands at local festivals and art shows. In July this year, we had a stand at the Dunkleys Great Craft Show and from 16 October, we will be holding an art exhibition at The Bach in the Town Basin in Whangarei. This is customised to individual needs and aimed at building self-esteem and confidence. It teaches team-building, independence and work skills. Funding for this is provided through the Ministry of Social Development, ACC or privately. This is for school leavers in their final year at school. It is funded through the Ministry of Social Development. 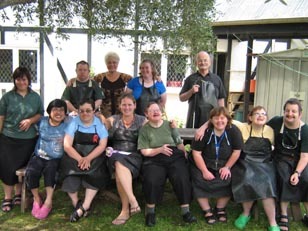 Guides, Rotary, gardening and church groups, mystery tour and senior citizen groups are among those who come to the Papermill for papermaking demonstrations. This is a fun, hands-on papermaking session, incorporating community values: for example, conservation and breaking down preconceived ideas about disabilities. At these workshops, you can learn to make your own paper for art purposes or special occasions such as weddings, women’s nights and team building. The Papermill is situated on State Highway 1 just south of Whangarei. Opening hours: Monday to Friday 9am – 3pm. Special arrangements can be made for after hours and weekend workshops. Original generation time 1.5685 seconds. Cache Loaded in: 0.0004 seconds.